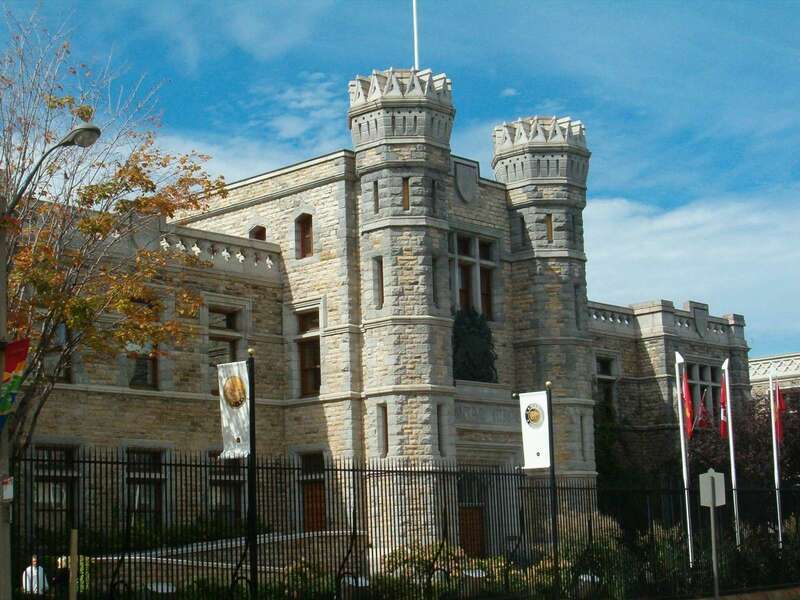 The Royal Canadian Mint (RCM) is Canada’s national mint. It operates as a federal Crown corporation and is fully owned by the Canadian Government. The RCM is a one of the world’s major mints and it also runs an integrated precious metals refinery, which is internationally known in its own right. The Royal Canadian Mint is perhaps best known for its gold and silver Maple Leaf bullion coins which are some of the biggest selling investment grade bullion coins in the world. The RCM is headquartered at Sussex Drive in Ottawa, Canada’s federal capital. The Mint’s Ottawa facility incorporates the refinery, and produces all bullion coins and bars. The RCM also has another facility in Winnipeg which produces Canada’s circulation coinage and coinage for numerous other countries. Since Canada has two official languages, English and French, the RCM is also known as Monnaie Royale Canadienne, and the French language wording forms part of the RCM logo and refinery stamp along with the English language wording. When first established in Ottawa in 1908, the Royal Canadian Mint operated as the Ottawa branch mint of the British Royal Mint, producing gold Sovereigns with a ‘C’ mint mark signifying that they were minted in Canada. In 1931, Canada became an independent Dominion of the British Empire and the assets of the Mint were transferred to the Canadian Government. In December 1931, the Mint was established as the Royal Canadian Mint and as a branch of the Department of Finance via an Act of Parliament. In April 1969, the RCM was incorporated as a Crown corporation via the Royal Canadian Mint Act for the purpose of minting coins and associated activities.The RCM’s 1 ounce gold Maple Leaf coin was launched in 1979, and the 1 ounce silver Maple Leaf and 1 ounce platinum Maple Leaf coins were launched in 1988. The gold refinery in Ottawa first opened in 1911, and was rebuilt in 1936. The current RCM silver refinery opened in 2005. The Royal Canadian Mint is structured as a federal Crown corporation of the Government of Canada and is 100% owned by the Canadian Government. The Mint is also an agent of the Monarch of Canada, who is Queen Elizabeth II. The Mint has an independent board of directors who oversee its strategic direction and activities.The board of directors consists of a Chairperson, a Master of the Mint, and between seven and nine other directors. The RCM also pays dividends to the Canadian Government, reports to the Canadian Parliament, and addresses its financial reports to the Canadian Department of Finance. The RCM’s business is divided into four segments, namely, Canadian circulation coins, foreign coin products, bullion products, and numismatics. Bullion products covers the production of gold, silver, platinum and palladium Maple Leaf coins, precious metals bars and wafers, but also the RCM’s integrated gold and silver refinery, a precious metals storage service, and some Exchange Traded Receipt (ETR) products. Numismatics program covers collectible coins and medals. The foreign coin product area produces coins and coins blanks (planchets) for central banks, monetary authorities and governments around the world. On a revenue generation basis, the bullion coin program is by far the largest and most important contributor. In 2015, the RCM generated revenues of CAD$ 2.975 billion, with bullion products accounting for $2.613 million, or 88% of total revenue, numismatics generating $198.7 million (7% of revenue), and the Canadian and foreign coin programs only generating 3% and 2% of revenue, respectively. The RCM is not funded by the Canadian Government and is predominantly run as a commercial enterprise. However, there was a legislative change in 2014 to the Royal Canadian Mint Act, which resulted in the requirement that the RCM’s Canadian circulation program be run on a non-profit basis, for the benefit of the Canadian Department of Finance. The RCM’s other three business areas of bullion products, foreign circulation products, and numismatics are still operated on a for-profit basis. The RCM’s bullion coin program consists of gold, silver, platinum and palladium Maple Leaf coins, as well as some newer products such as MapleGrams. The Gold Maple Leaf (GML) is a pure gold coin, of 24 karat, .9999 fine gold, that is manufactured in 1 oz, 1/2 oz, 1/4 oz, 1/10 oz and 1/20 oz denominations. The GML was first produced in 1979. The Silver Maple Leaf (SML) is a .9999 fine silver coin, that is only produced in a 1 oz denomination. The Silver Maple Leaf was launched in 1988. Similar to the revenue contribution pattern of the American Gold Eagle and American Silver Eagle bullion coins to the total revenue of the US Mint, the Gold Maple Leaf and Silver Maple Leaf bullion coins are the biggest contributors to the RCM’s total revenue. In 2015, the RCM sold 953,000 ozs of gold bullion coins (29.6 tonnes) and 34.3 million ozs (1067 tonnes) of silver bullion coins. At average prices of US$1160.05 and US$15.68 for gold and silver respectively during 2015, and a USD to CAD exchange rate of 1.278 for 2015, the Gold Maple Leaf generated revenue of CAD$ 1.412 billion in 2015, while the Silver Maple Leaf generated revenue of CAD$ 687 million, giving a combined revenue of CAD$ 2.1 billion, which accounts for nearly 81% of the RCM’s total bullion business revenues in 2015, and nearly 71% of RCM total 2015 revenues. The Platinum Maple Leaf (PtML) is a pure platinum coin, made of .9995 platinum, that is also only produced in a 1 oz denomination. It was also launched in 1988. The Palladium Maple Leaf (PdML) is a .9995 fine coin produced from palladium, and only in a 1 oz denomination. It was first minted for a few years from 2005, then production was halted, and then it was relaunched in 2015. The RCM recently launched a product series called MapleGrams. MapleGrams are 1 gram gold Maple Leaf coins presented together in secure sleeve packaging. To date, the RCM has issued MapleGrams in MapleGram 8 and MapleGram 25 design formats, containing 8 coins and 25 coins, respectively. Since the RCM has a working mint and refinery in Ottawa, it naturally maintains high-security precious metals vaulting and storage facilities for its internal operations. The RCM also offers vaulting facilities to metals dealers for storing precious metals on an allocated basis. This service only covers RCM branded bullion and is not offered to individuals, just to business accounts. While Canada’s central bank, the Bank of Canada, no longer holds any official gold reserves of its own, it still holds gold in custody on behalf of the central banks of Switzerland, Sweden, Netherlands and Belgium. The Bank of Canada’s vault was under its headquarters building on Wellington Street in Ottawa, less than a few miles from the RCM mint and refinery. However, the Bank of Canada headquarters building is undergoing an extensive renovation until 2017 which necessitated vacating the entire building, and the gold was moved out of the vault to another location. Since the Bank of Canada’s collection of gold coins reappeared in late 2012 at the RCM vault, it suggests that the foreign central bank gold was also moved to the RCM Ottawa vault due to its proximity to the Bank of Canada’s building. In 2011, the RCM launched a gold exchange traded product called “Canadian Gold Reserves Exchange Traded Receipts (ETRs)”. These receipts represent fractional undivided beneficial ownership in gold held at the RCM in Ottawa. The receipts trade on the Toronto Stock Exchange (TSX) under ticker MNT in Canadian dollars and also under MNT.U in US dollars. RCM is the custodian and the gold backing the receipts is held by RCM on an unallocated basis, and is not segregated from the Mint’s other gold holdings. Surprisingly, the ETRs “constitute a direct unconditional obligation of Her Majesty in right of Canada”, which is explained by the fact that the Royal Canadian Mint is an agent of Queen Elizabeth II. In 2012, the RCM replicated the gold ETRs with a silver version and launched “Canadian Silver Reserves Exchange Traded Receipts (ETRs)” These silver ETRS trade on the TSX under ticker MNS in Canadian dollars and MNS.U in US dollars. The RCM’s refinery in Ottawa is located in the Sussex Drive facility complex, and produces gold and silver bars, coins and wafers for the investment precious metals market, and gold and silver granules for the industrial and jewellery markets. The refining division also offers assaying services. The gold refinery first opened in 1911, and the new silver refinery opened in 2005. The gold refinery has an annual production capacity of 300 tonnes. Refining clients of the RCM includes gold and silver mining companies, particularly from North and South America, banks, precious metals recyclers, industrial users and the jewellery sector. In addition to gold and silver bullion coins, the RCM gold refinery produces 9999 fine 400 ounce, 100 ounce, 1 kg, and 1 oz gold bars, 999 fine 1 kg gold bars, 999 fine 1000 ounce and 100 ounce silver bars. RCM’s customer base for its bar range includes central banks, Canadian and international bullion banks, bullion traders and hedge funds. The RCM is accredited to the London Bullion Market Association (LBMA) current Good Delivery List for both gold and silver good delivery bars – gold since 1919, silver since 2011. The LBMA Good Delivery List is a list of accredited refiners whose wholesale size bars and production processes meet a specific international standard. The Royal Canadian Mint is also an associate member of the London-based LBMA. RCM wholesale gold and silver bars are also approved brands for COMEX gold (since 1974) and silver (since 2013) futures settlement in New York and for TOCOM gold futures (since 1988) settlement in Tokyo. The RCM refineries are also accredited with the international quality standard ISO 9001. The RCM refinery bar logo consists of the words “ROYAL CANADIAN MINT” and “MONNAIE ROYALE CANADIENNE” encircling a Maple Leaf symbol. The RCM does not sell investment bullion coins or bars directly to the public but uses a distribution network of dealers both domestically (in Canada) and internationally. These dealers include the large US wholesalers such as A-Mark, Dillon Gage, CNT, and MTB. The RCM’s head office is in Ottawa. All bullion coins are produced in the Ottawa plant, as well as medal, medallions, and commemorative coins. Coin design, engraving and coin die manufacture are also centred in the Ottawa facility. The RCM’s gold and silver refinery is also located in Ottawa. The RCM’s Winnipeg coin plant is a nearly 15,000 sq metre facility that specialises in the manufacture of Canadian circulation coins and foreign circulation coins. In total, coinage for over 75 countries has been produced by the RCM. Both the Ottawa and Winnipeg facilities run tours all year round that are open to the public. RCM also operates retail boutiques in Ottawa, Winnipeg and Vancouver that sell RCM proof and commemorative coins and other RCM branded products.